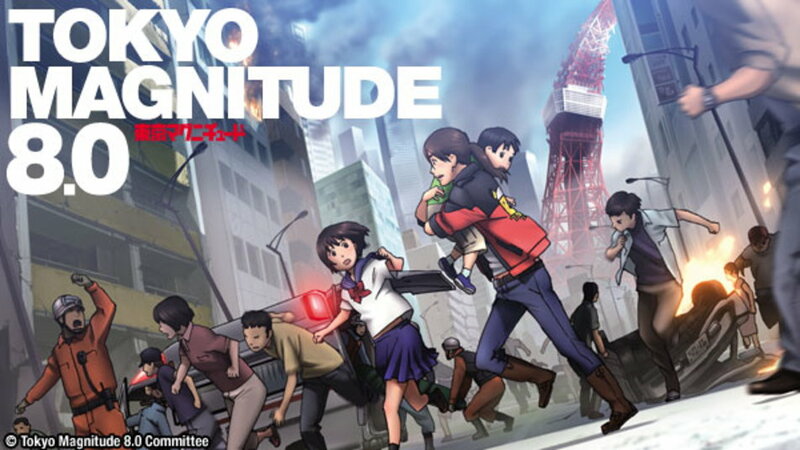 After 7 years I decided to watch TOKYO MAGNITUDE 8.0 because a disaster theme anime in kinda rare. And you know what, this is the most heartbreaking anime I've ever seen since GRAVE OF FIREFLIES. If you think Clannad or AnoHana should be in 1st place for tear jerking anime, YOU"RE WRONG. All those rankings are wrong. TOKYO MAGNITUDE 8.0 is the one that will make you manly tears. Prepare your tissues everyone. This is why I like underated anime for all them hidden gems. The story is about a sister and her little brother trapped in Tokyo city after a huge earthquake strikes. Without any working transportation, they have to walked to reach their home. And between that they have to deal with aftershocks and food supply. Will they reach their home safely? You have to watch it your own to find out. This anime gets a 7 out of 10.